If a teacher has fun working, the pupils will have fun. And when they have fun, they learn. From 2011 Creative Partnerships worked with over 138 schools and 9000 pupils across Lithuania. Creative Partnerships programme in Lithuania is implemented upon the experience of the Creative Partnerships programme in the United Kingdom which has been running for eight years and has worked with over 1 million pupils. In 2011 the programme received World Innovation Summit for Education (WISE) award for a significant impact on the practice of innovation in education. From 2014 autumn 27 schools participate in Creative Partnerships programme. For the first time programme was joined by 5 social centres. In four years 138 schools and around 9000 pupils – from first to twelfth graders – from all over Lithuania have participated in the project. Over 1000 teachers have improved their professional competencies in the field of creative learning. The need for Creative Partnerships is proved by large numbers of applications from schools –nearly 400 schools have submitted applications to participate in the project. In three years around 400 creative professionals expressed interest to participate in the programme. 163 creative practitioners and 114 creative agents have been selected. In 2013 the participants of the Creative Partnerships created the Manifest for a Creative School where essential principles of the creative learning were presented to the wider society. 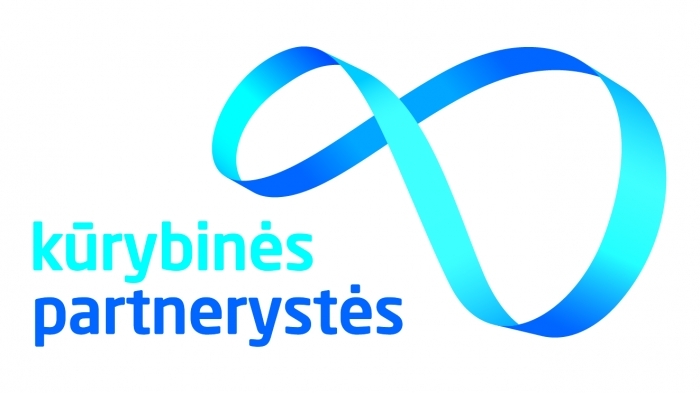 In Lithuania the Creative Partnerships programme is implemented on a national scale as an initiative of the Ministry of Education and Science of Lithuania. It is funded by the European Social Fund and the Lithuanian State Budget. The programme is implemented by the Education Development Centre. A management group was established when implementing Creative Partnerships – it monitors and advises on project implementation and continuity, approves school selection rules and results, advises on project promotion, communication messages and channels. The project team cooperates closely with 9 regional partners who help to ensure project implementation and promotion in Lithuanian regions. Thanks to this project we remembered what reflection is. We listened to the children and found out how they feel, what they like and dislike. Various life events can change the planned course of a lesson. When you step into a classroom and see that the children are in a bad mood, the first thing you do is talk to them. Tests can wait. I see that talking with children is necessary, because we all become better due to nonformal and friendly communication. I used to work as a bureaucrat who had to put certain knowledge in children as if they were a container. Thanks to Creative Partnerships I understood what it means to be a real teacher who can awaken all sleepyheads and daydreamers in a lesson. I‘ve changed a lot as a human.